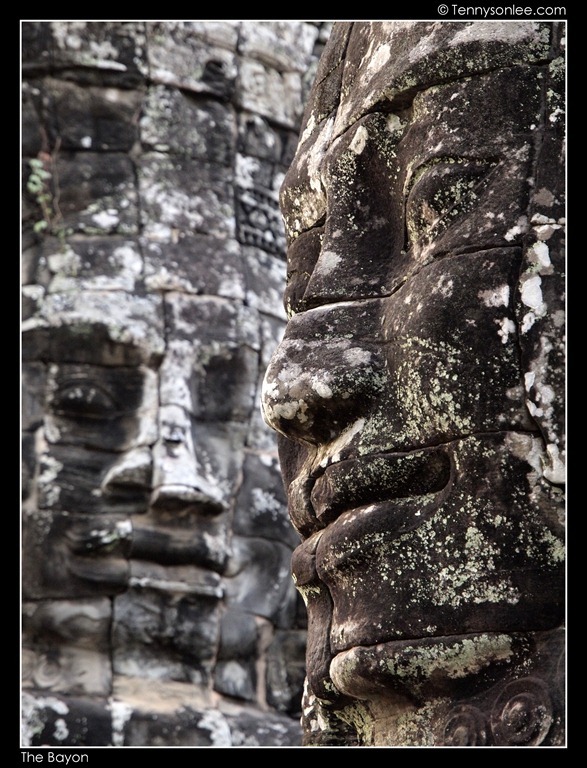 If Ta Phrom gives the impression of serpent-liked tree root, then visitors will walk out from the Bayon Temple with hundreds of large ‘faces’ in their mind. There are 37 surviving towers. 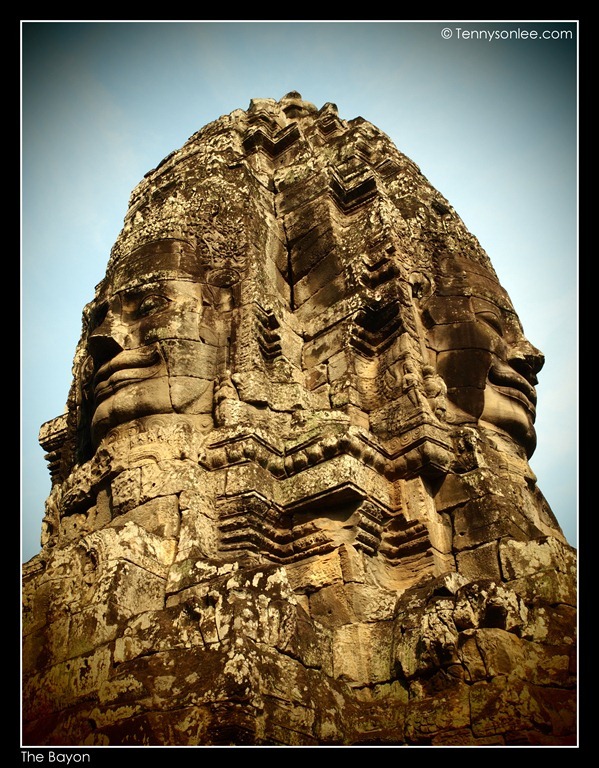 Each tower has 4 faces (so 216 gigantic sandstone face of Buddhist deity – Lokeshvara. From a distance, the temple looking like a chaotic mess in terms of layout (unlike the well spaced Angkor Wat). This was because the contour of the rocks resembling Mt. Meru (center of the world in Buddhist’s cosmology). 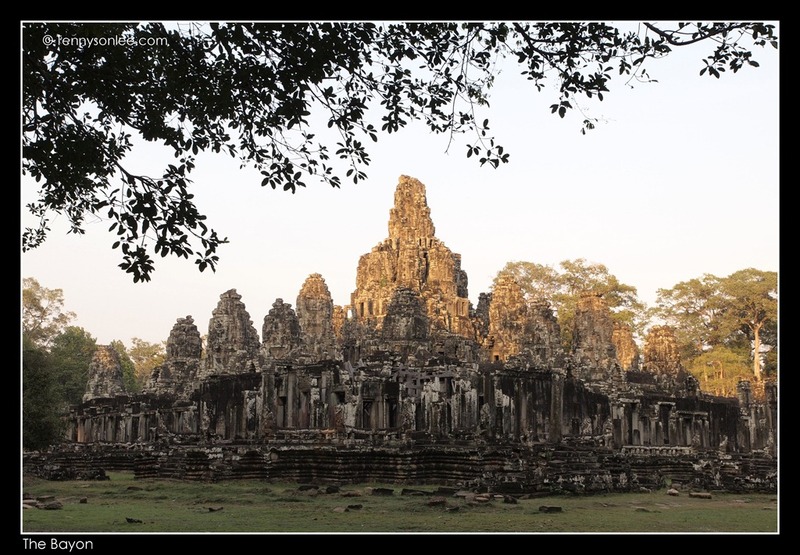 Looking from the map, this temple situated right in the central axis of Angkor Thom. All the 4 city gates passing through the Bayon temple. The temple has 3 tiers, and galleries full of carvings of the local lifestyle. One could spend hours starring at the serene faces and slowly, they would smile back to you. 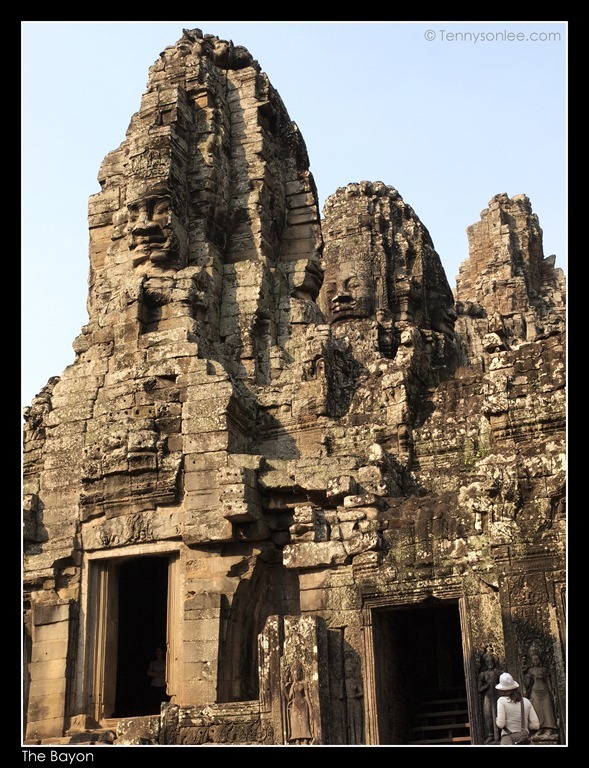 So the Bayon temple is #3 on my top 5 sites to be seen at Angkor Archaeological Park. This entry was posted on January 27, 2012 by Tennyson. 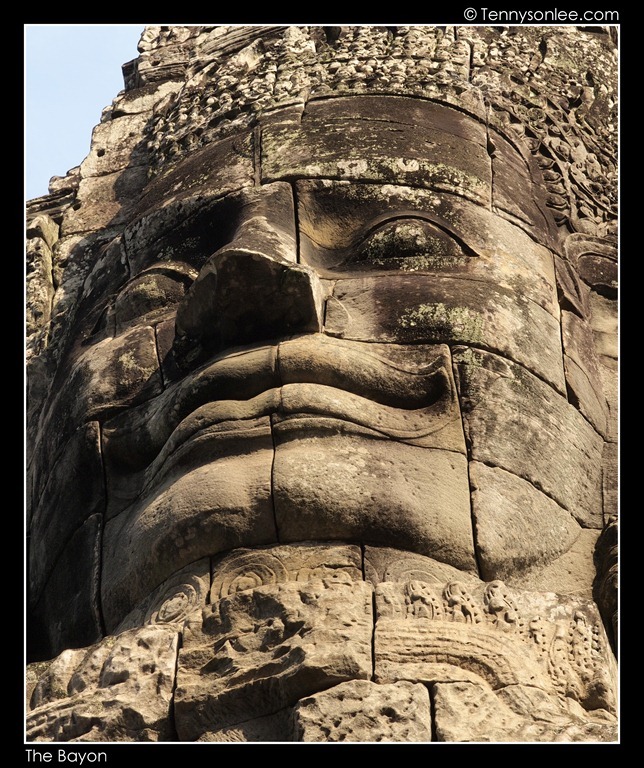 It was filed under Cambodia, Places, Siem Reap and was tagged with Angkor, Architecture, Bayon, Temple.